Provide comfort for the family of Nova Bostic with a meaningful gesture of sympathy. Nova Tackett Bostic, age 86, passed away Tuesday, January 15, 2019. She was born October 15, 1932 to the late Eli and Hilza McCown Tackett. Besides both parents, Nova is preceded in death by one sister, Dinah Compton; and one brother, Lawson Tackett. 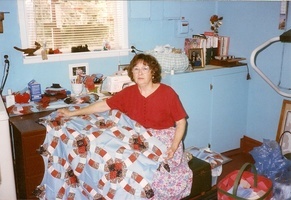 Nova is survived by her loving husband of fifty two years, Thomas W. Bostic; one step daughter, Brenda Johnson; sister, Delilah Akers of Pikeville, KY.; brother, Eli Vernon of Stanford, KY; many nieces, nephews, as well as a large host of people who absolutely adored her. 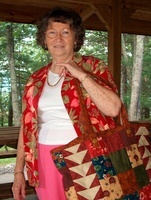 Nova was an avid quilter; within her quilting book she had “Our lives are like quilts- bits and pieces, joy and sorrow, stitched with love.” She will be sadly missed by all who knew and loved her. Family will accept friends at the Thacker Memorial Funeral Home Friday, January 18, 2019 at Thacker Funeral Chapel beginning at 6:00 PM. Funeral services will be Saturday, January 19, 2019 at 1:00 P.M. Entombment will follow at the J.U. Thacker Mausoleum at Annie E. Young Cemetery in Pikeville, KY. Gary Hampton will officiate for services for Nova. 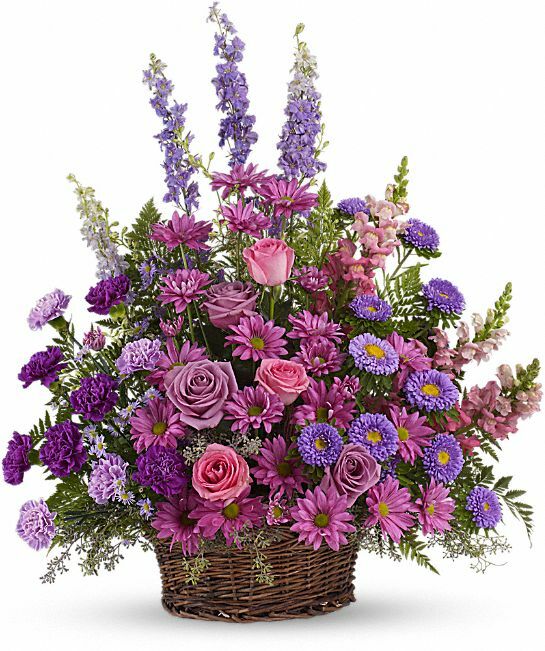 To send flowers in memory of Nova Bostic (Tackett), please visit our Heartfelt Sympathies Store. We encourage you to share your most beloved memories of Nova here, so that the family and other loved ones can always see it. You can upload cherished photographs, or share your favorite stories, and can even comment on those shared by others. Dickie and Mary Bostic sent flowers to the family of Nova Bostic (Tackett). May you find comfort in Christ Jesus. 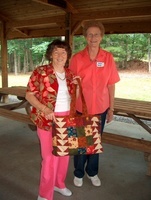 Dickie and Mary Bostic purchased the Gracious Lavender Basket for the family of Nova Bostic.